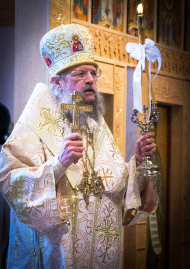 Father Sergious Gerken joined St. Raphael of Brooklyn Orthodox Churh on Sunday, July 6, 2014. 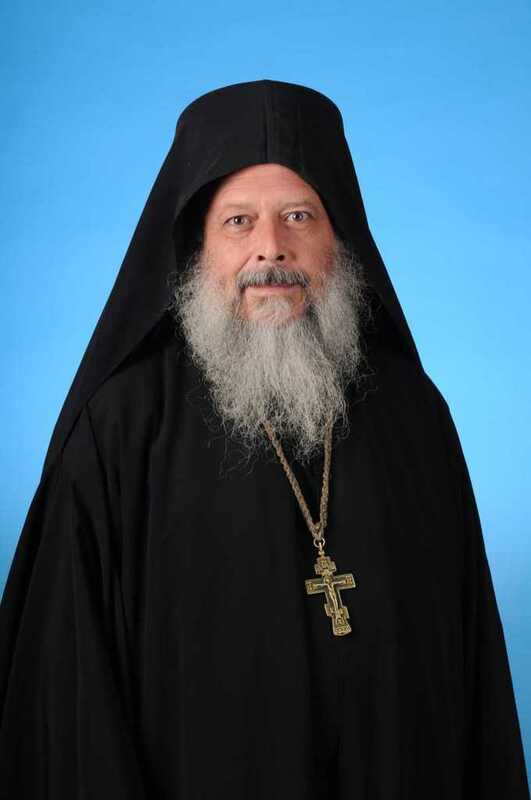 After graduating from St. Vladimir’s Orthodox Theological Seminary in New York, Father Sergious spent 6 years as a monk living on Mount Athos (“The Holy Mountain”) in Greece, one of the most sacred places in Orthodoxy and the home to around 1400 monks. 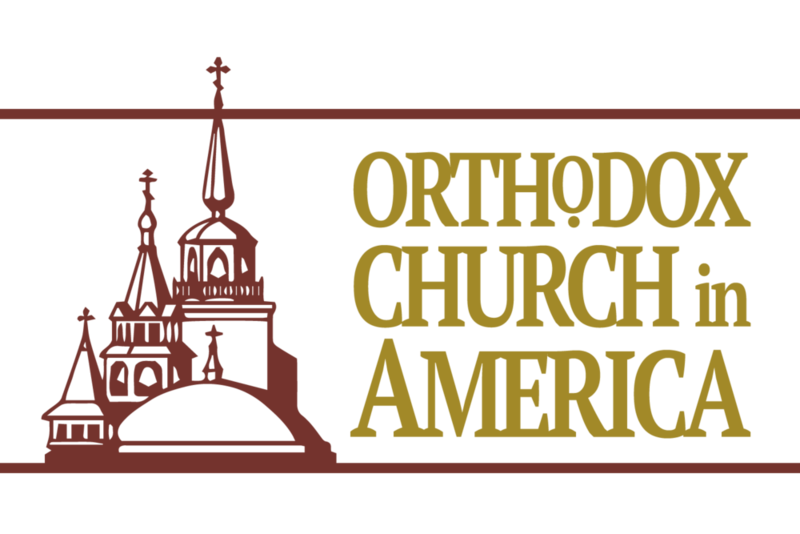 He was ordained a priest in Old Harbor, Alaska, at one of the oldest Orthodox churches in North America, dating back to 1784. 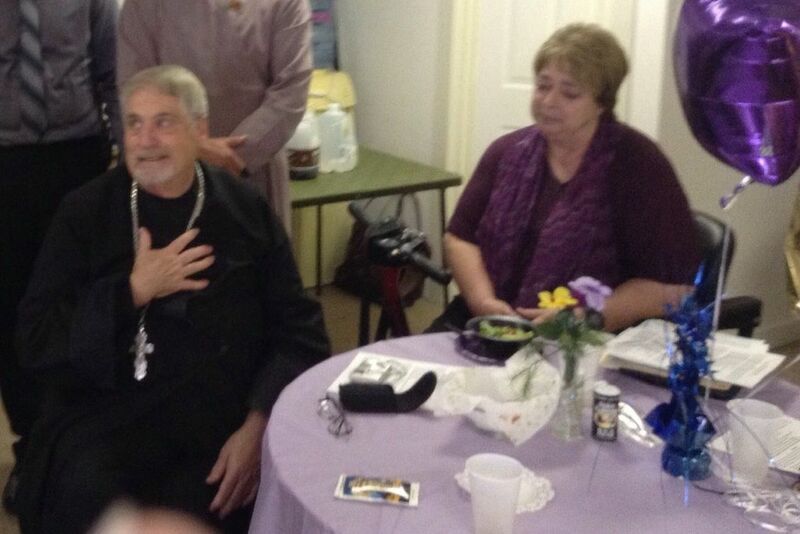 He has been an abbot at the oldest Orthodox women’s monastery in North America, in Calistoga, California. When he was originally assigned there, the monastery had fallen into disrepair, the nuns were gone, and the buildings were dilapidated. With no regular income, Father Sergious, through his vision, hard work, and the generosity of many, was able to renovate the buildings and transform the grounds into a beautiful garden oasis and reopen the monastery. 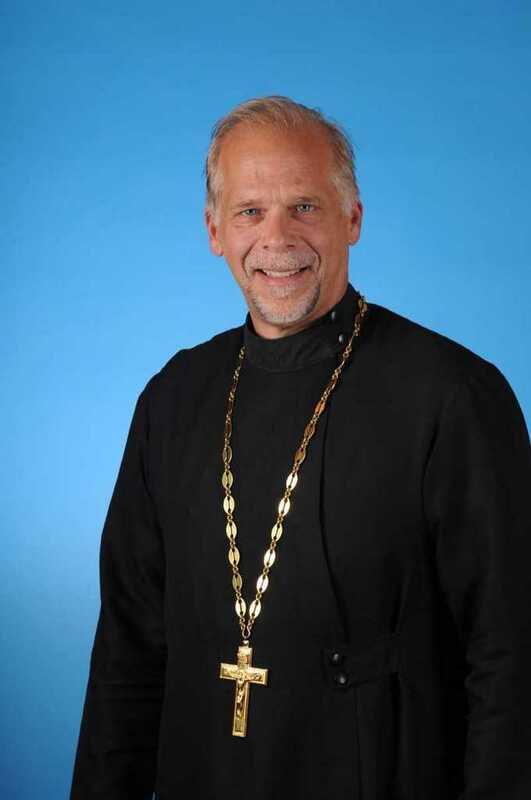 In addition to Alaska and California, he has also served as a parish priest in New York and Pennsylvania, and as a chaplain at West Point. He is coming to Inverness from a parish in Berlin, New Hampshire. He was born in Caracas, Venezuela to Russian parents. He speaks English, Greek, Russian and Spanish. 2006-2014: Fr. David Balmer was our first resident priest. 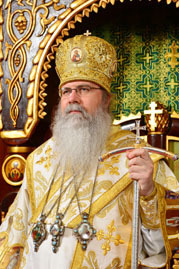 He with Matushka Mary blessed us with an enriched service schedule, choir direction, bible classes and hospital visits. 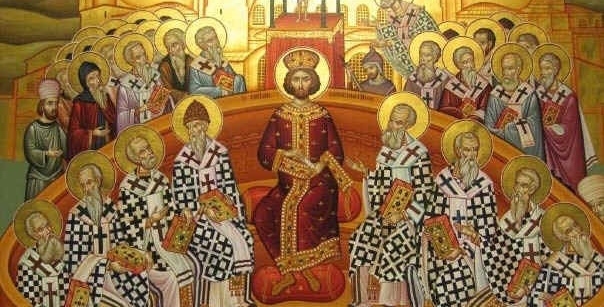 Many converts to Orthodoxy were attracted to the church. 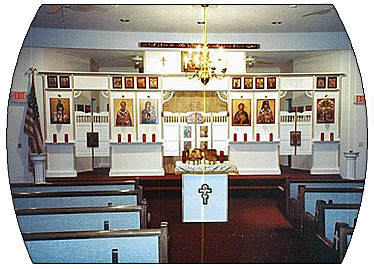 During their tenure a twice-a-month mission called "Vespers in The Villages" was arranged to be held at St. George Episcopal Church in The Villages, FL. Fr. David co-sponored "The Blessing of the Golf Cartrs" in the The Villages, and Epiphany throwing of the cross at Lake Hernando. Fr. David and Mat. Mary retired to Arizona in 2014 to improve her health and to be near their son, We thank you both for your many years of wonderful service.